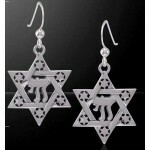 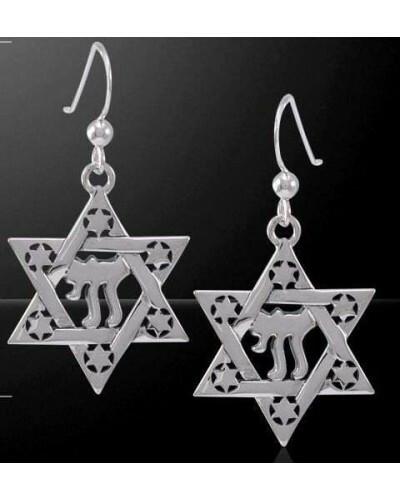 A unique celebration of life and the Jewish faith, these Star of David earrings are hand made in sterling silver. 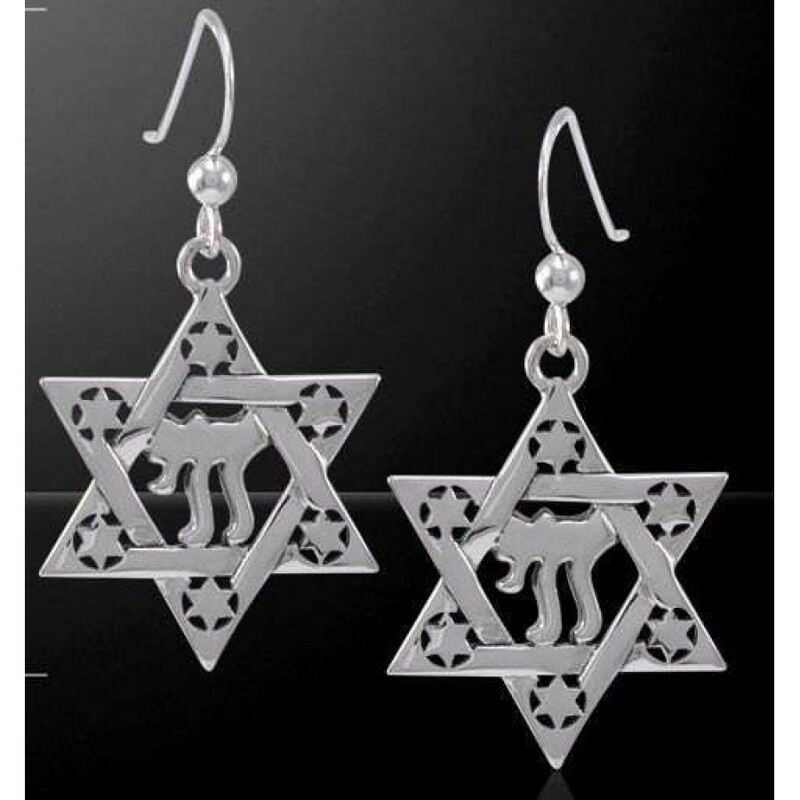 These gorgeous sterling silver earrings feature the Star of David adorned with the Chai, which means "Life", within its center and smaller stars at each point. 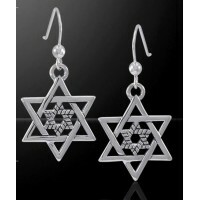 They measure 1 5/8 inches high overall with attached sterling ear wires. 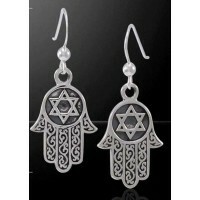 Item Number: PS-TER1557 | Approximate Size (Inches): 0.65 wide x 0.01 deep x 1.58 high | Approximate Shipping Weight: 0.25 lbs.